Flip through your stacks of wax in style with the TunePhonik Natural Bamboo Vinyl Record Holder. 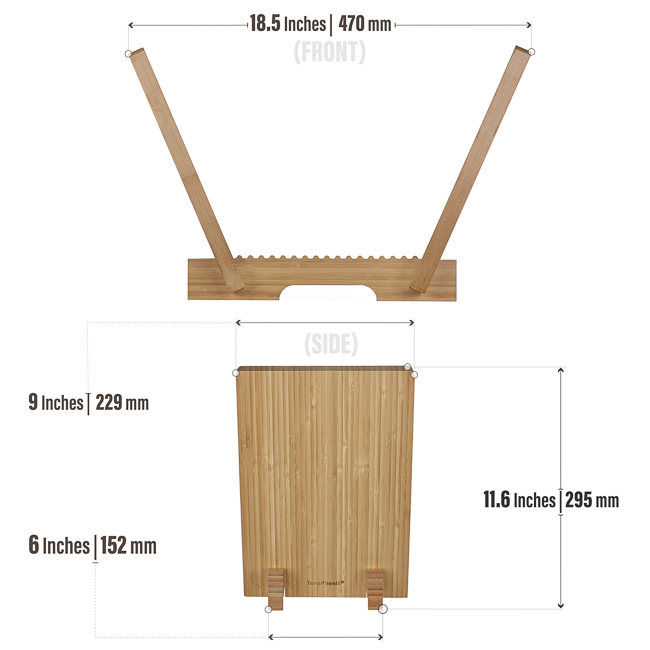 We designed this clean, modern LP stand exclusively for vinyl record lovers like you. We want you to display your collection with pride rather than stuffing your albums in storage crates or boxes no one sees. 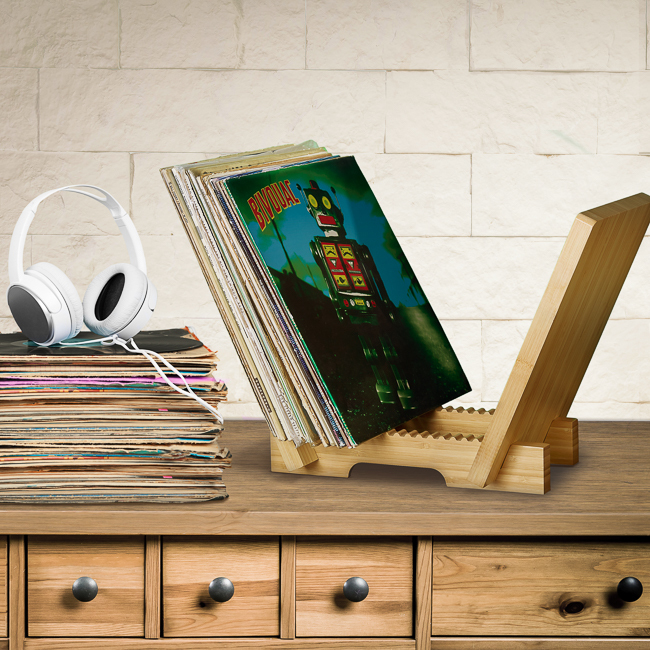 Put this stand in your living room, dorm, or media room for easy access to your current rotation of most played records. With a natural all-bamboo construction, this record holder fits up to 50 LPs and/or 7-inch singles. 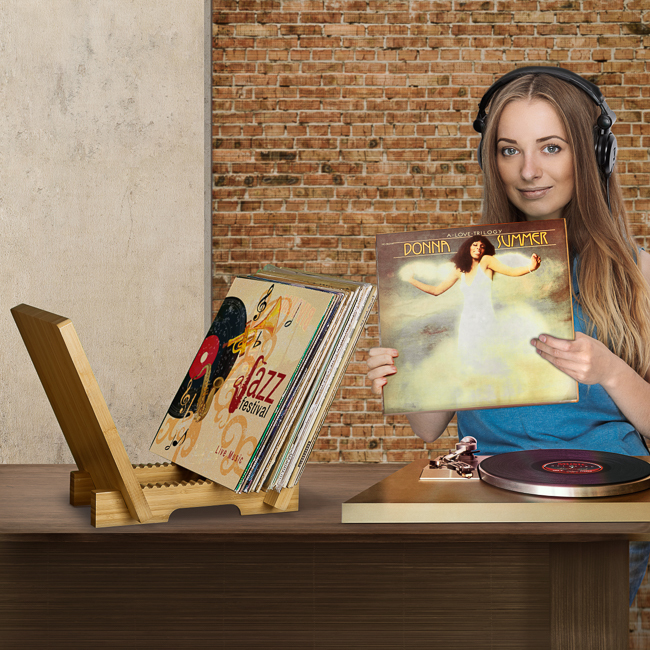 You read that right; you’ll be able to store both 12-inch and 7-inch albums in the same display rack. Of course, this flip rack fits your vintage 10-inch records as well. The two end pieces provide stability and are set up at an angle to prevent your records from tipping or warping. The thick angled side pieces also make for simple sorting so you can sort the same way you would in an old school milk crate. 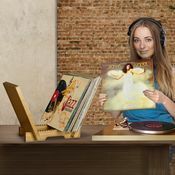 The bottom racks feature smooth rounded grooves that allow you to quickly add/remove records during a spinning session without interrupting the flow of the music. 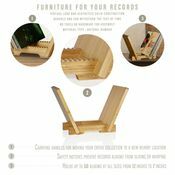 Rounded slots ensure your records stay in pristine condition and won’t get nicked on the edges from pointy grooves. This record holder offers a minimalist appearance that lets your collection speak for itself. The natural bamboo finish goes well with the rest of your furniture and doesn’t detract from colorful album art. Its compact size fits on most book shelves and inside cabinets and entertainment centers. Assembly couldn’t be easier as your record holder contains four pieces of solid bamboo that fit together without any glue or screws. 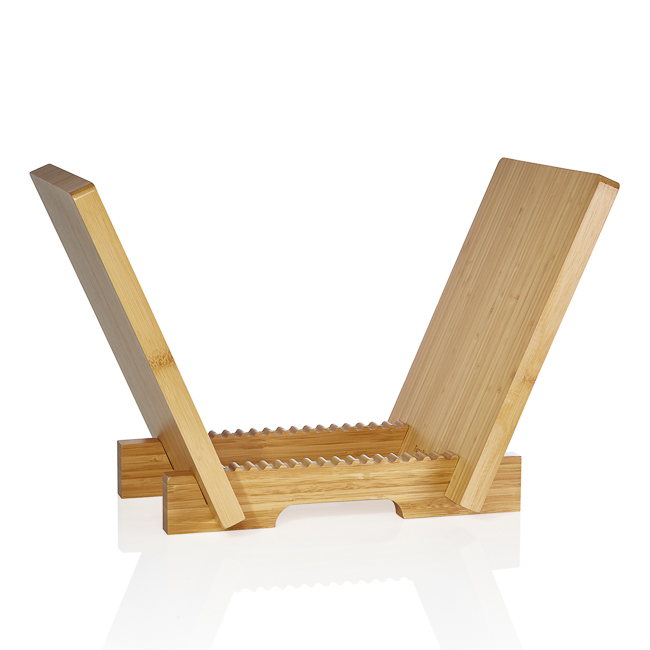 Just slide the sides in the provided slots on the two bottom pieces and you’re ready to display your collection.